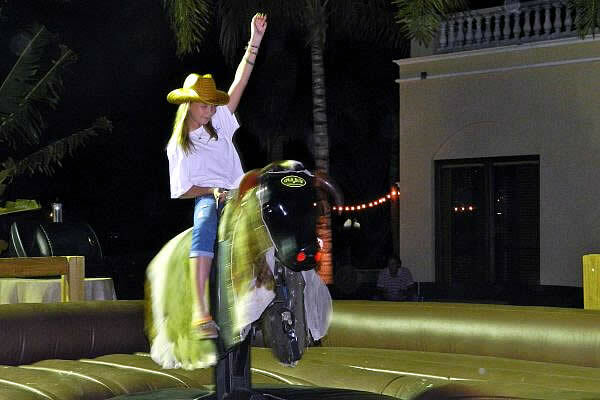 Loxahatchee, FL – December 14, 2011 – The 2011 Holiday HorseFest held in Downtown West Palm Beach, FL, on Sunday, December 11, 2011, at the Meyer Amphitheatre was a huge success. 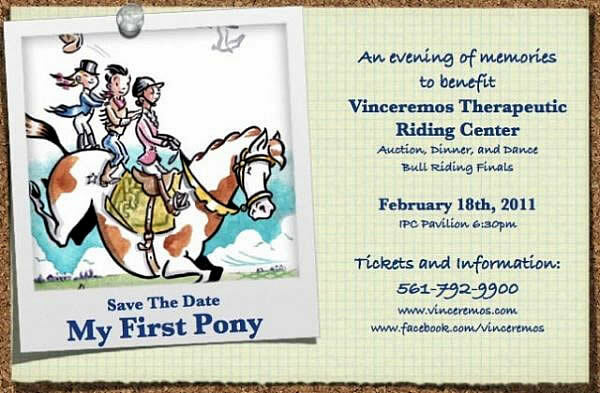 Vinceremos Therapeutic Riding Center (VTRC) emerged victorious as a nominated charity to be represented at the 2012 FTI Great Charity Challenge presented by Fidelity Investments on the evening of Friday, February 17, 2012. As one of the 32 selected charities, VTRC will be randomly assigned to one of the sponsored teams competing for the top prize money at the Great Charity Challenge. 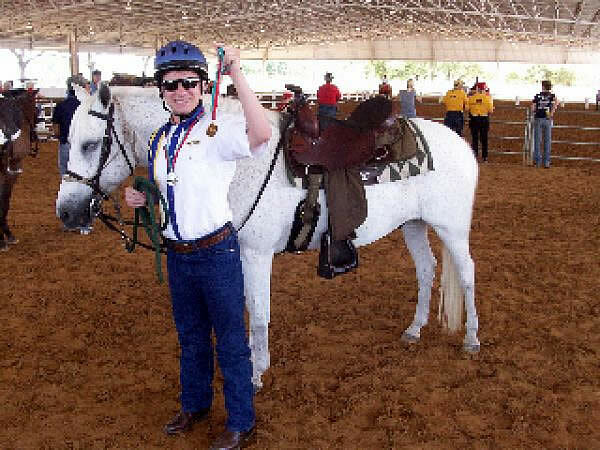 The Challenge is a competition consisting of two junior/amateur-owner riders combined with one Olympic or world-class rider. This year, $1.5 million is the goal, and all proceeds will directly go to the participating charities, with the least amount received being $10,000. 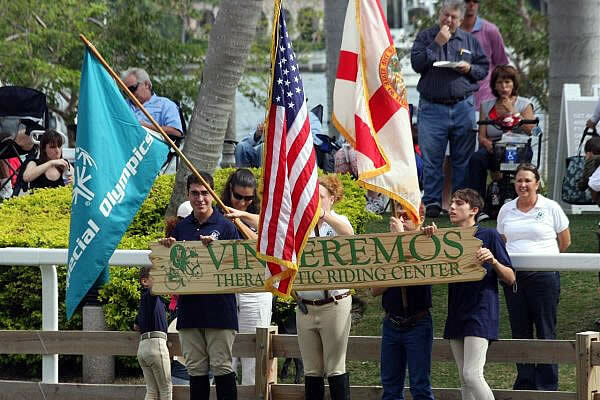 VTRC also had the honor of participating in the opening ceremonies of Holiday HorseFest. Juan Burbano, A. J. Zembrzuski, Carrie MacMillian, and Jason Legato performed a color guard routine to represent the VTRC and the Special Olympics.